For National Women’s History Month, the Mount Holyoke College Archives and Special Collections are showing an exhibit on female faculty in the sciences, from Lydia Shattuck, class of 1851, to Cornelia Clapp, class of 1871. The buildings named after them and the programs they developed continue to shape our learning in a tangible way, which makes their histories relevant and their lives worth studying. The materials and their accompanying feature on the Archives and Special Collections webpage also highlight famous Mount Holyoke alumnae in the sciences, such as Virginia Apgar ’29, Dorothy Hansine Andersen ’22 and Jean E. Sammet ’48. Health & Science will feature one of these women for each of our March issues in observance of National Women’s History Month. The exhibit is in Dwight Hall. 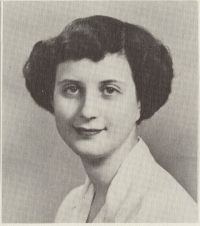 Jean E. Sammet, class of 1948, was an American computer scientist who was well-known for creating FORMAC, which stands for FORmula MAnipulation Compiler, the first computer language for symbolic manipulation of mathematical formulas. For her achievements, Sammet received many awards including the Lovelace Award, the NCWIT Pioneer Award and an honorary doctor of science degree from Mount Holyoke. Born in 1928, Sammet grew up in New York City and both of her parents were lawyers. At a young age, she became interested in mathematics and attempted to get into the Bronx High School of Science, but they did not accept women. Sammet went on to attend Mount Holyoke College and majored in mathematics with a minor in political science. After graduation, she attended the University of Illinois and received an M.A. in mathematics. Sammet had never encountered a computer before attending the University of Illinois and her first impression of them was that they were an “obscene piece of hardware that [she] wanted nothing to do with,” according to The New York Times. After taking various teaching positions at higher education institutions, she decided a life in academia was not for her and took a job as a trainee actuary at the Metropolitan Life Insurance Company. Here, Sammet began to work alongside computers, feeding them calculations on cardboard punch cards and eventually grew fond of the machines. Later, Sammet worked as a mathematician at the Sperry Gyroscope and got to work firsthand with one of the most sophisticated computers of the time. The experience she gained here allowed her to teach one of the first computer science masters programs in the nation at Adelphi University for two years and also got her a job overseeing software development for the MOBile DIgital Computer (MOBIDIC) project. Here, she began working on the groundbreaking FORMAC project and initiated communication between software developers through the Association for Computing Machinery (ACM). Sammet accomplished much throughout her career, including holding various titles for the Special Interest Group on Programming Languages (SIGPLAN), publishing her book “Programming Languages: History and Fundamentals” and assisting in the creation of Common Business Oriented Language (COBOL). She became the first female president for the ACM in 1974.